‘Look out, May’s about!” Anyone else hearing a screech of brakes and tyres? 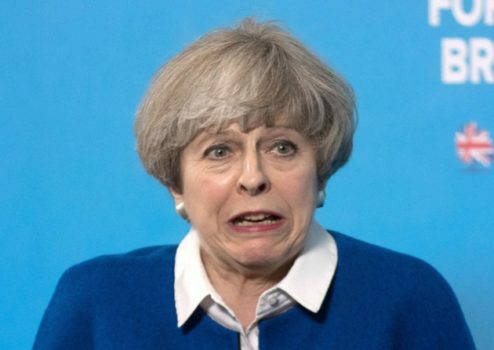 A spokesman for Britain’s car crashes has objected to them being linked to Mrs May’s government, claiming that the comparisons are unfairly bringing car crashes into disrepute. Oh come on! Did you really want a car photo? The music industry has heaved a huge sigh of relief after learning that last weekend’s Beckham car crash was not the warbling clotheshorse attempting another comeback. Victoria was distraught after learning of husband David’s motor accident, having misheard the early reports.